Subaru ambassador Art Green enjoys the versatility of the Subaru Levorg, which can drop a boat off at the beach before work, deliver him to business meetings in the city during the day and then over the Waitakere Ranges for a trail run in the evening. Subaru ambassador Art Green is driving our Subaru Levorg because Subaru believes he is the ideal fit for our stylish sports wagon, which combines substance and sophistication in a turbocharged driving package. Subaru of New Zealand is pleased to announce it has chosen Art Green and rather than presenting him with a rose, the company has signed him on as a brand ambassador and he now has a Subaru Levorg to drive. After starring on the first season of a popular New Zealand reality television show, Art has become a well-recognised public figure but it is his healthy, active lifestyle and the fact he has grown up with the Subaru brand that mattered to Subaru’s Managing Director Wallis Dumper. “We have Art driving our Subaru Levorg because we believe he is the ideal fit for our stylish sports wagon, which combines substance and sophistication in a turbocharged driving package. He embodies what Kiwi Subaru drivers are all about. They might use their Subarus for work by day but come 5pm, or the weekend, they are looking for an adventure and our All-Wheel Drive, Boxer-engined beauties are the cars to transport them to where the action is,” Mr Dumper says. Levorg’s audio system is Bluetooth® equipped and also Siri compatible, supporting voice recognition with relevant generation iPhones. It has a 7.0-inch electro-static touch display for audio, phone, factory-fitted satellite navigation, apps, information and settings, which all allow Art to keep on top of his business commitments, while on the move. Levorg’s sporty character is powered by the proven, efficient, turbocharged 2.0-litre Direct Injection engine, producing 197 Kilowatts of power at 5600 rpm and 350 Newtonmetres of torque from 2400-5200 rpm - ensuring Art enjoys all the benefits of this ‘driver’s wagon’ when he heads out on the open road. Levorg is available with the eight-speed Subaru Lineartronic™ Transmission. 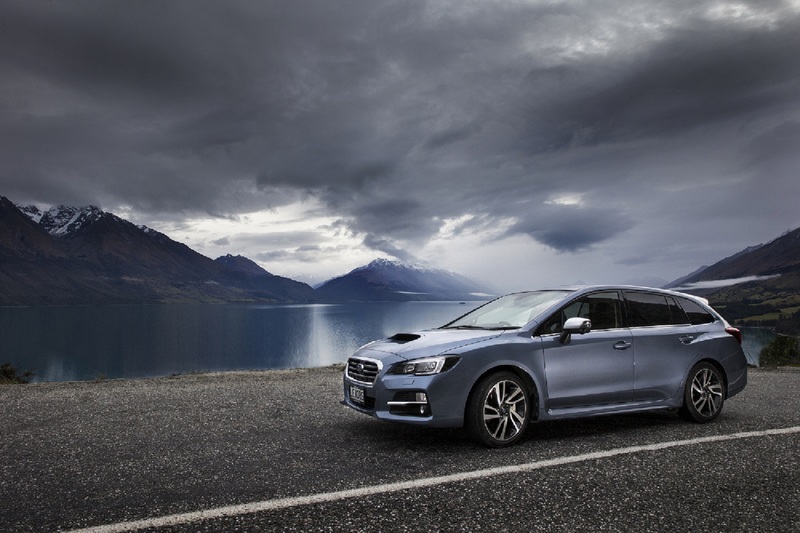 Art and his partner Matilda Rice, who was the winner of the first season of The Bachelor New Zealand, are enthusiastic about keeping healthy and fit and Art’s 85,000 social media followers can see how the Subaru Levorg is enabling his dynamic Kiwi lifestyle. “Art obviously leads an active life but he also promotes good times. His photos of his Subaru Levorg backing a boat into the sea at sunrise, epitomise what the Subaru ‘do’ philosophy is all about. It encapsulates how our All-Wheel Drive engineering prowess helps our Subaru drivers to enjoy getting off the beaten track, secure in the knowledge that they can get safely back onto it again,” Mr Dumper says. CAPTIONS: Subaru ambassador Art Green enjoys the versatility of the Subaru Levorg, which can drop a boat off at the beach before work, deliver him to business meetings in the city during the day and then over the Waitakere Ranges for a trail run in the evening. PHOTOS FREE FOR EDITORIAL USE.